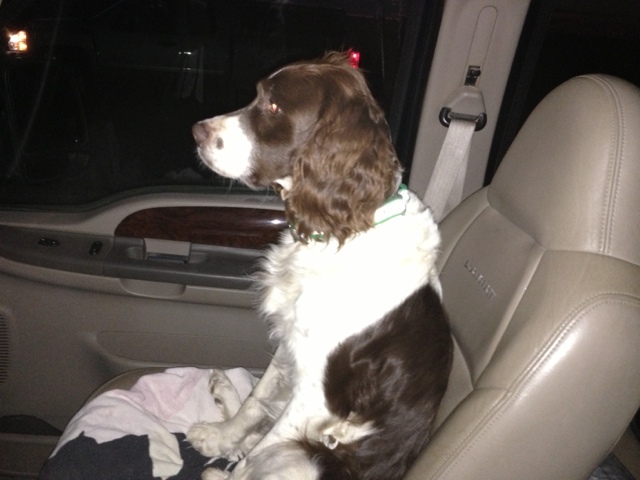 I have my copilot watching diligently. With a full tank of diesel, and a belly full of three egg omelette. 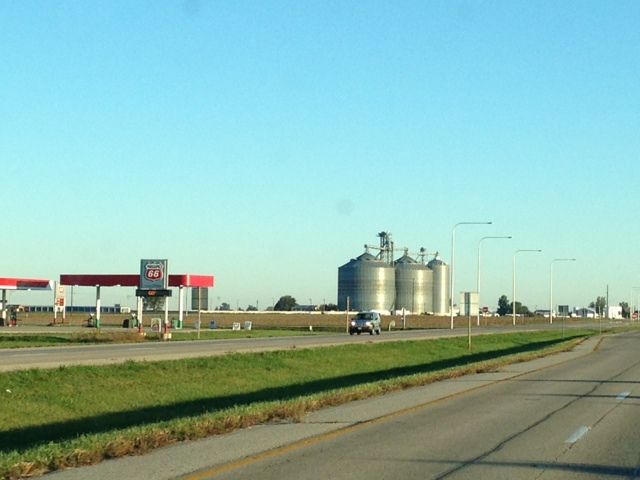 We are headed up through the heart of Illinois. Through towns called Mount Zion, Elwin and Decatur. This area was settled by French-Canadians brought in by the railroad building a line from Chicago to Mobile. Huge coal seams were discovered underneath the flatland here. This area is known for a coal mining disaster in 1930. Now, it's all about the corn and beans.